Last night, May 30, 2012, was Pass It Along’s annual Volunteer Recognition dinner. This is a night to celebrate everyone involved in Pass It Along and all the hard work they contribute. Throughout the night there were several speeches made from Pass It Along staff and volunteers who gave testimonials on what Pass It Along means to them and how it has changed them as a person. Each person that spoke gave a very heartfelt speech that touched everyone who was there. The teen volunteers who spoke were Ashley Darnsteadt, CJ Doyle, Katie Ryan, Jack Cubberly, and Ian Sutherland. There was also a great musical performance by SamHill Road. The microphone was then opened up to anyone who wanted to talk about an experience they had with Pass It Along. There were also scholarships awarded to dedicated Pass It Along volunteers. 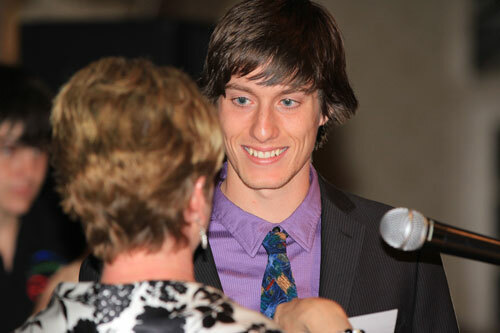 There were many $500 scholarships awarded to volunteers to be given out to them at their high school’s awards dinner. This year a new scholarship was awarded, the Jeff Syberg Scholarship. Jeff Syberg was a one-of-a-kind, amazing and kind volunteer who passed away in October. This scholarship is in honor of him and the legacy he left behind. This award was presented to Jack Cubberly. Since Pass It Along is all about having a good time, the night ended with a fun little dance performed by the staff members. It put a smile on everyone’s face and showed how everyone involved in Pass It Along truly is a family. Tilly’s Kids is a mentoring program with inner city children from the House of Mercy Mission in Newark, NJ. 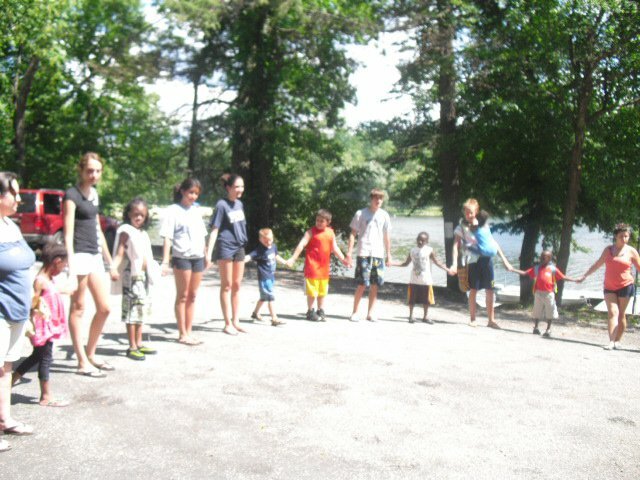 Each year these children come to Sussex County with Pass It Along for a weekly summer program. 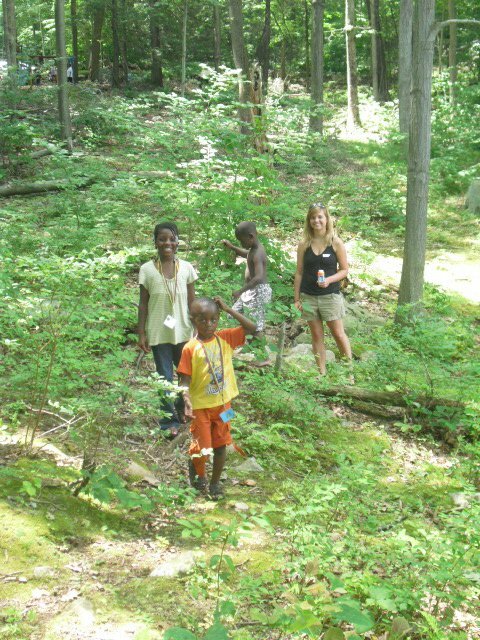 Every Wednesday during the month of July, Pass It Along volunteers and Tilly’s Kids join together at Swartswood State Park in New Jersey for a day of fun and learning. Each Tilly’s Kid gets a buddy – a volunteer, for the day to do different activities. These activities range from swimming in the lake to doing arts and crafts to helping pick up garbage to keep the park clean. This program starts Wednesday July 11, 2012. Every Thursday and Friday in July, Tilly’s Kids and Pass It Along volunteers come together at Tilly’s Kids Byram Day Camp. At the camp the kids and volunteers do various environmental projects to help Tilly’s Kids learn about the environment and the outdoors. These environmental projects include fire safety, nature walks, learning about the solar system, learning about wildlife and many other topics. These projects help Tilly’s Kids learn in a fun and exciting way. This program starts Thursday, July 5, 2012. To sign up for this program please call our office at (973)-726-9777 or email Ryan Foulds at ryan@passitalong.org. On May 12, Pass It Along had their annual Serve-A-Thon. This is the biggest day of Pass It Along’s year and takes place at different locations all throughout Sussex County New Jersey. These service projects include landscaping, painting, yard work, and various other projects. At Serve-A-Thon there were 168 volunteers who accomplished 594 hours of service. There were 20 different locations where volunteers went to help and serve. Some of these locations included Fredon Animal Shelter, Knoll Heights, Habitat for Humanity, Ginnie’s House, Project Self-Sufficiency, and many more. I attended Little Citizens at Project Self-Sufficiency in Newton, New Jersey. Children from ages 2 to 10 years old came to participate in their own mini Serve-A-Thon. There were five separate projects completed at this site. 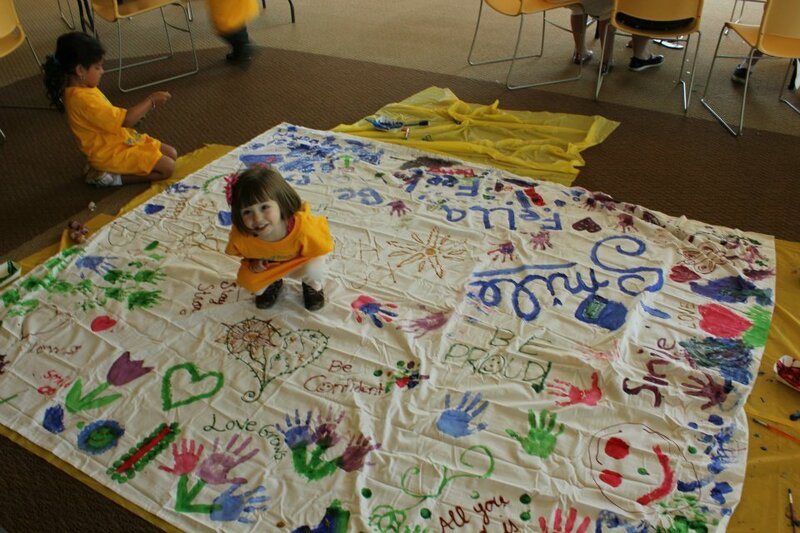 The children painted a mural to be hung up at St. John’s Children’s Hospital. They also made clay creations for Ben’s Bells. Another project the children did was making peace bracelets to be given to Tilly’s Kids, a mentoring program within Pass It Along. They made Mother’s Day cards and also put together little care packages for the St. John’s soup kitchen. As volunteers we watched over the kids and helped them with each of the five projects. The kids, as well as the teen volunteers, were so cheerful and happy to be helping others.